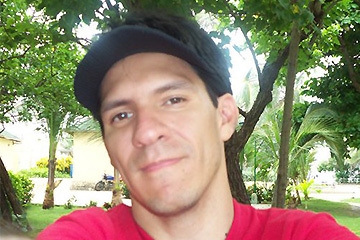 Daniel is from Bogota in Colombia in south America. He studied for DJ in an academy in Bogota called TEMPLO DJ MUSIC STORE. he got knowledges of electronic music since he was 11 years old when house music started to sound in 1990. He learned about house music thanks to his mentors and DJ teachers called LEONARDO ROA DJ ANGEL and his musical mentors that thanks to them he learned a lot of this electronic music are called FABIO ALZATE and JIMMY RAMIREZ. He likes to play all the genres of the electronic music called house music but his favorite style is disco house and music from the 70s. His biggest desire is that all the people from colombia, france and all parts of the world love his mixes and support him always in his disco house program with great disco house music with very special remixes.